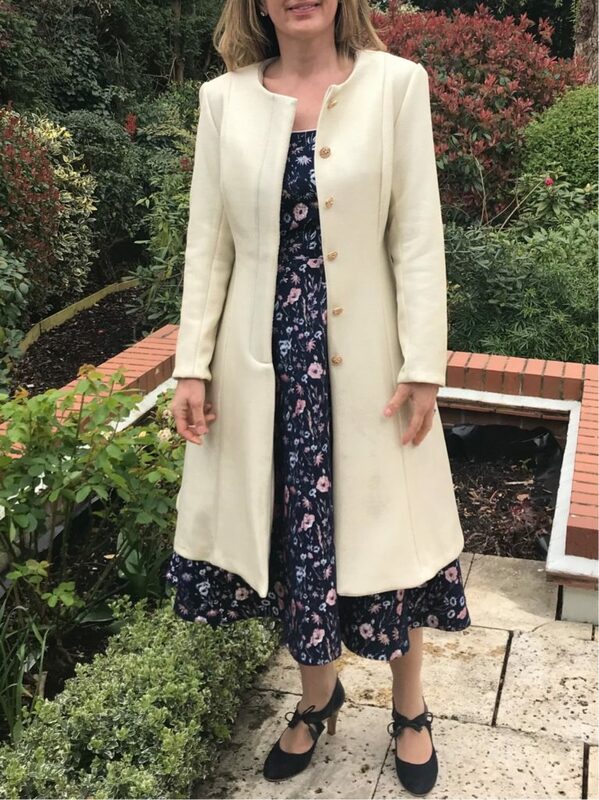 Having filled my Spring wardrobe with flared dresses (see here, here and here for my most recent projects), it was definitely time to sew a flared coat to match the lot! Here it is with B5966– although this one is more of a toile than the finished project! I am a complicated person, I know. 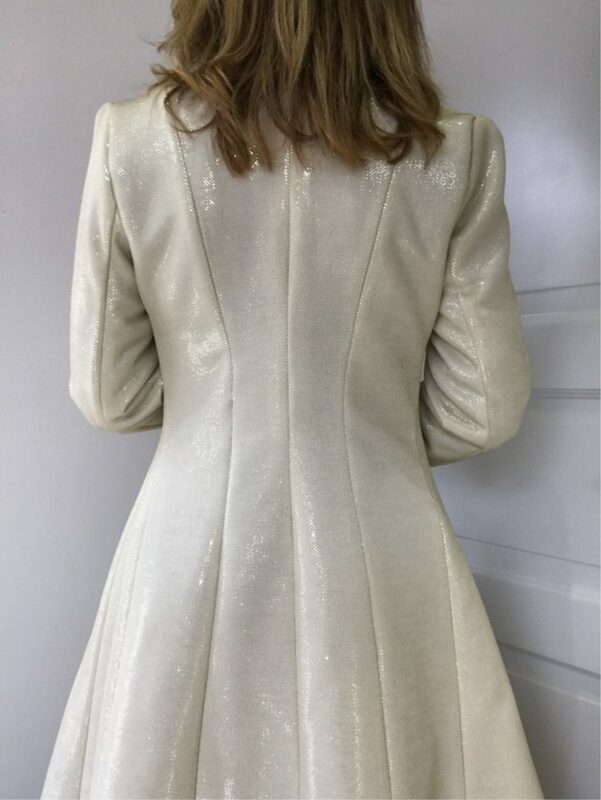 Not only did the coat need to be flared, it also had to have the right cup option (D/E in my case) – I hate FBAs (Full Bust Alterations) with a passion and I did not want to end-up with a tight bust! 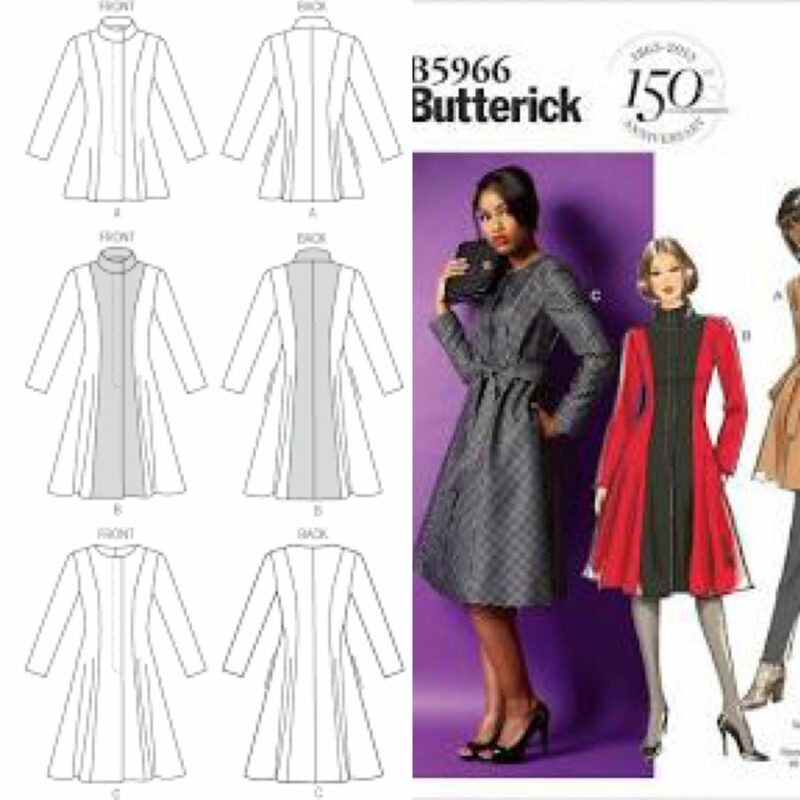 So Butterick B5966 was pretty much my only option to be honest. 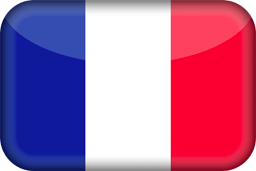 As described on the enveloppe, it is fitted and flared with a fly button closing – that would do! I chose view C, which is the collarless, 3/4 length option. I omitted the pockets, the shoulder pads and the belt (I actually made a belt, but given my fabric it was too chunky); but otherwise made no major alterations to the pattern. This coat is truly a love-hate case study. I really like the end-result, in particular the beautiful curves at the back. The sizing is completely mad, way too large! My measurements indicated a size 12/ C cup, I chose a size 10 C cup and still had to take off 1.5cm out of the back and side seams – basically reverting to a size 8. This took ages and drove me completely crazy! The only positive point was the bust fit, which was perfect. The quality of the inside is quite disappointing. 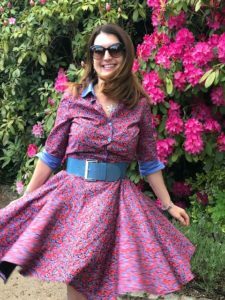 There is no proper bottom facing (you use the hemline fold); and no back facing whatsoever ; and there are no specific pattern pieces for the lining, so no fold for ease included. 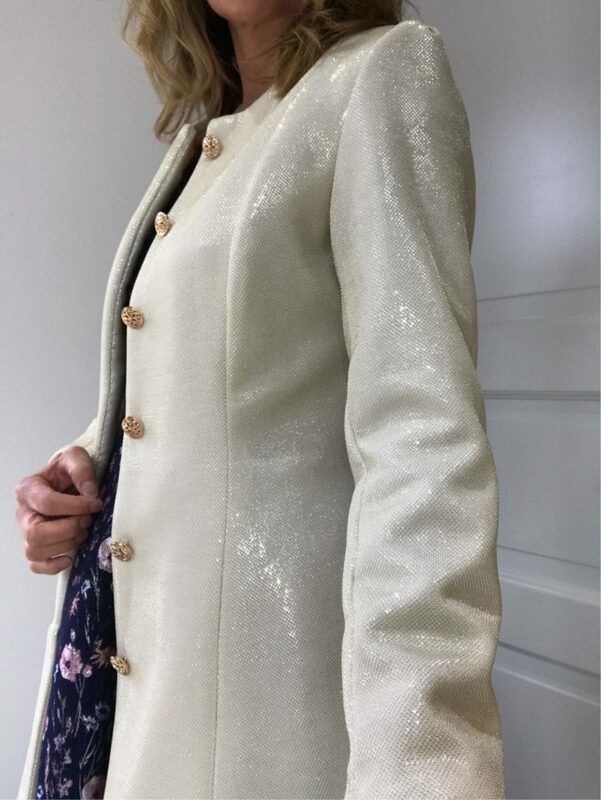 My first and only me-made coat was Ernest by Republique du Chiffon and all these details were impeccable, so I was quite disappointed to end-up with a lower quality finish here. The pattern instructions are not great. Here again B5966 fares poorly against Ernest, where he instructions were crystal-clear. The fly button closing took me a LOOONNNG time to understand! And lastly I don’t like the visible stitching of the fly button closing, it completely disrupts the otherwise perfectly clean line of the coat. I am actually thinking of taking it out. As for the fabric, it was gifted to me by Minerva Fabrics and is still available here. It is a medium-weight scuba, perfect for a structured garment such as a coat, a jacket or a pencil skirt. 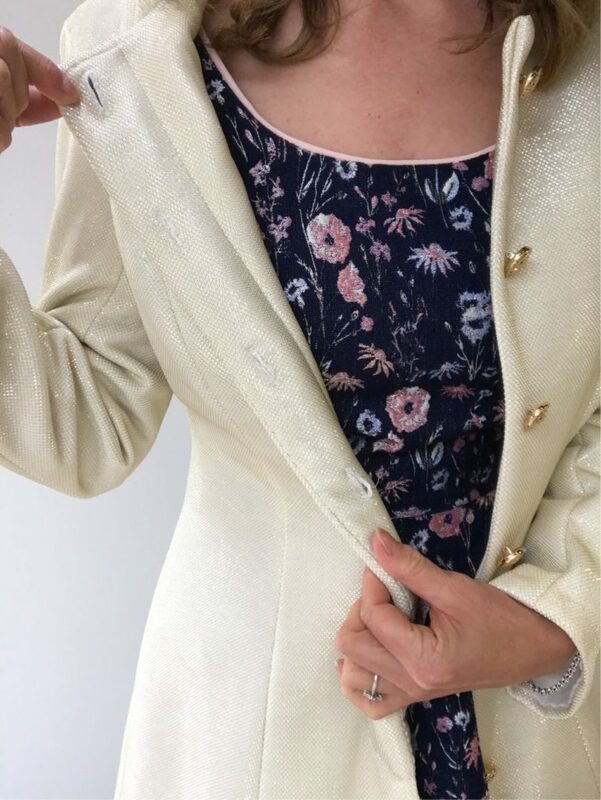 The fabric is made of two layers: a plain white scuba underneath; and a metallic gold net on top – do not fear, they stay firmly attached to each other when cut, sewn and washed (I was a bit worried initially). 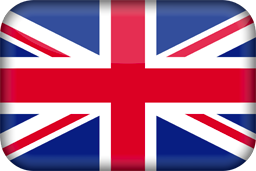 And I nearly forgot – being a scuba it does not fray! No overlocking needed, hurrah! This fabric is really easy to work with. As for its look, the Minerva’s website gives a very good idea of the effect of this fabric: it really shimmers in the light. Some of my pictures caught this effect but not all. 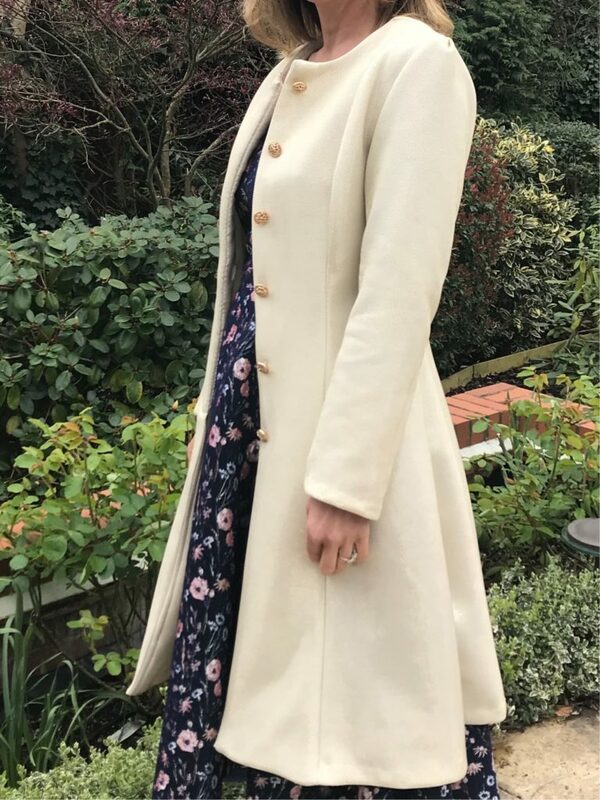 Overall I think I will use this coat sparingly, for nights out most likely – and I view it more as a toile than as a completed garment to be honest! I am very keen to try an make it again though, in a plainer fabric and using the Ernest coat finishes inside! 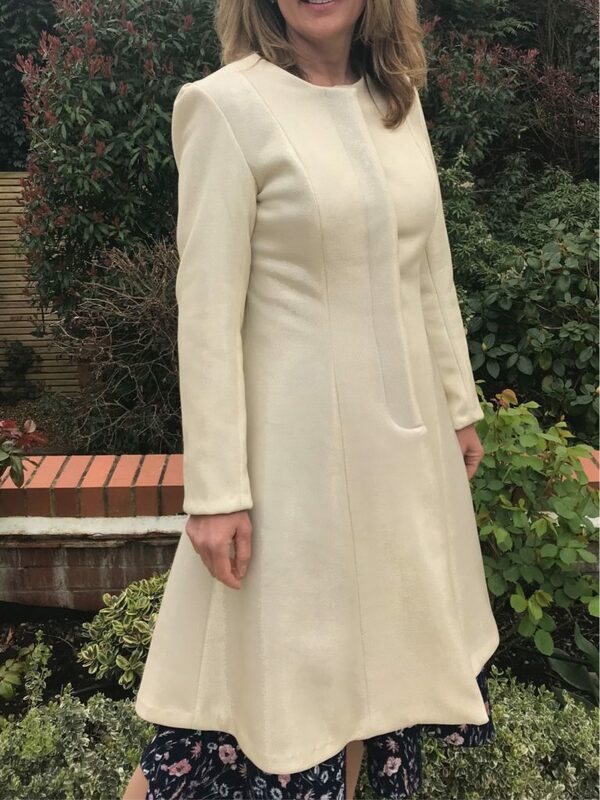 Pattern: Butterick B5966, which is described as “fitted and flared lined coat with shoulder pads, princess seams, sides pockets, fly-button closing”. It has the huge advantage of bust cup options, so you don’t have to make the adjustments yourself to get a perfect bust fit! Fabric: I used a medium-weight glittery gold scuba from Minerva Craft, available here. Definitely not for a day outfit though – and that’s from the women who does all of her winter school runs in a fur coat with high heels!!! 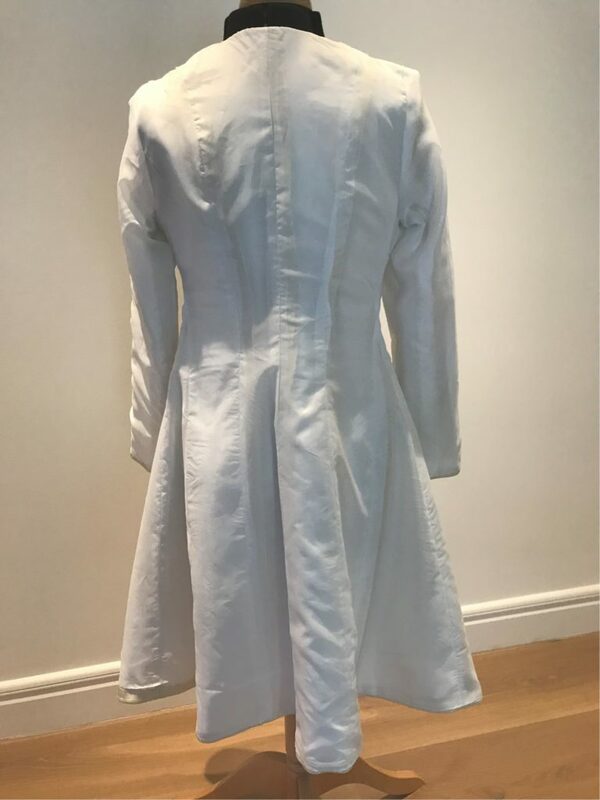 Sewing level: if you are a beginner looking to make your first coat, I would definitely not recommend this model, the explanations are a bit too light and the finish disappointing – coats should not be like that! Love level: I adore the shape but I am not a fan of this specific coat, I definitely need to find a plainer fabric to make another one!